Sequential Drawings by Richard McGuire. Pantheon Books, 2016. 9781101871591. Spot illustrations from the pages of The New Yorker by the author of the graphic novel Here. Some are groups of related objects, others sequential. Luc Sante, in his introduction, points out that “McGuire has a special gift for endowing inanimate objects with personalities. He accomplishes this with the most minimal means.” In “Three Friends” a parking meter on a bent post looks like Munch’s The Scream. “Rock, Paper, Scissors” stresses violence as well as cooperation. (The entire sequence can be seen at the top of this GQ review.) “Flamingo Umbrella” starts with irritation but ends with pure delight. 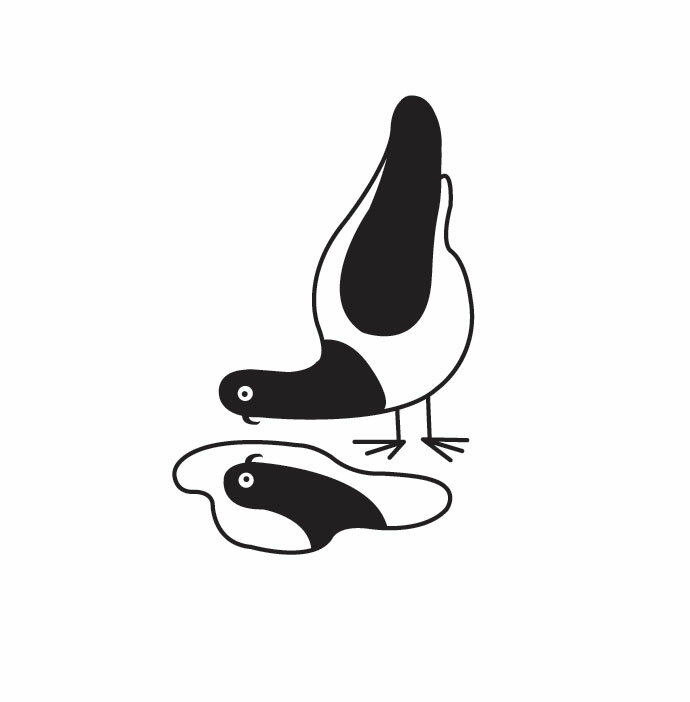 “Pigeon” is my favorite sequence — the birds’ poses perfectly express their ridiculousness. The beautifully minimalist illustrations seem designed to remind me both that anything can be represented via a few simple lines and that creating such pleasing drawings requires a level of skill few possess. And, you know, if you know a comics geek like me, there could be no better Valentine’s Day gift than this.